You can’t be bored in Mystic, CT! Our quaint little town offers so many activities that you can easily fill your afternoons with historical visits and beach trips. If you wish to venture out for the day and discover the rest of New England, we highly recommend you pay a visit to the Connecticut Science Center in Hartford. 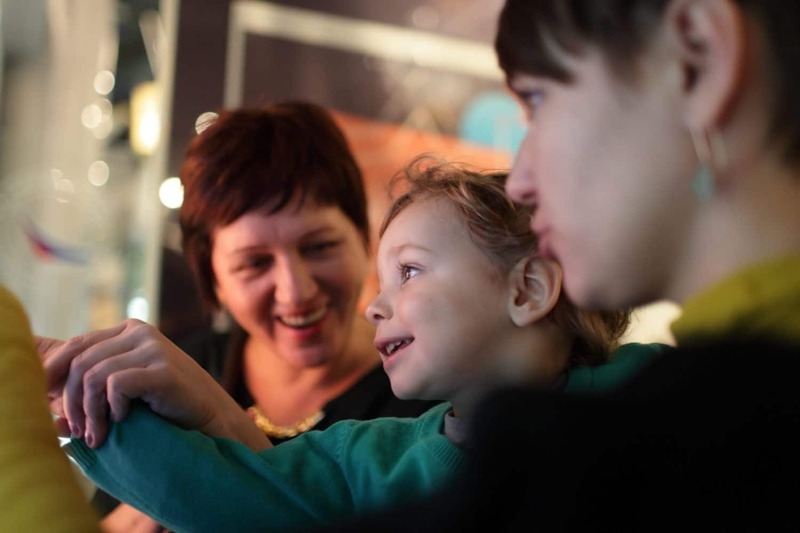 Learn about dinosaurs, medicine, and the galaxy, or have fun in the water room as you explore this fantastic and playful museum. It’s one of the best family activities that entertains both children and adults! Don’t miss out on the fun; now is a great time to plan your trip to the Connecticut Science Center. Have fun at the Connecticut Science Center and discover all the other activities available to you in Mystic, CT! Download our free Vacation Guide and find out about our top recommendations for outdoor adventures, delicious restaurants, museums, and more. All Aboard for an Educational Ride! The Connecticut Science Center is a wonderful place to spend the day. Take a break from the beach and explore this stunning six-floor museum with your family! It’s one of the best science museums in the country and offers visitors a unique educational experience as well as fun activities. At the Connecticut Science Center, you’ll learn something new every time you visit! Let your imagination run wild with a selection of hands-on exhibits. You can travel through space, admire the stars at the observatory, step into the butterfly experience, ride the indoor train, and see a 3D movie in the IMAX theater. You can even make friends with robots and discover your inner artist at one of the craft rooms on the 4th floor. Tip: After you check out the exhibits, relax and get a snack at one of the picnic areas. And don’t forget to go to the picturesque rooftop garden! It offers a jaw-dropping view of Hartford’s skyline. If you are the kind of traveler who’s looking for more entertaining experiences, we have some good news! The fun doesn’t have to stop with your visit to the Connecticut Science Center. Take advantage of our Essex Steam Train and Riverboat special and live a unique time travel adventure. This package includes a two-night stay at our romantic inn, a bottle of wine upon arrival, and first class tickets for the Essex Steam Train and Riverboat. Take a journey through stunning New England landscapes on this vintage steam train and pass through historic places like Gillette Castle and the Goodspeed Opera House. A ride aboard the Essex Steam Train and Riverboat is an absolute must and will pair wonderfully with your trip to the Connecticut Science Center! 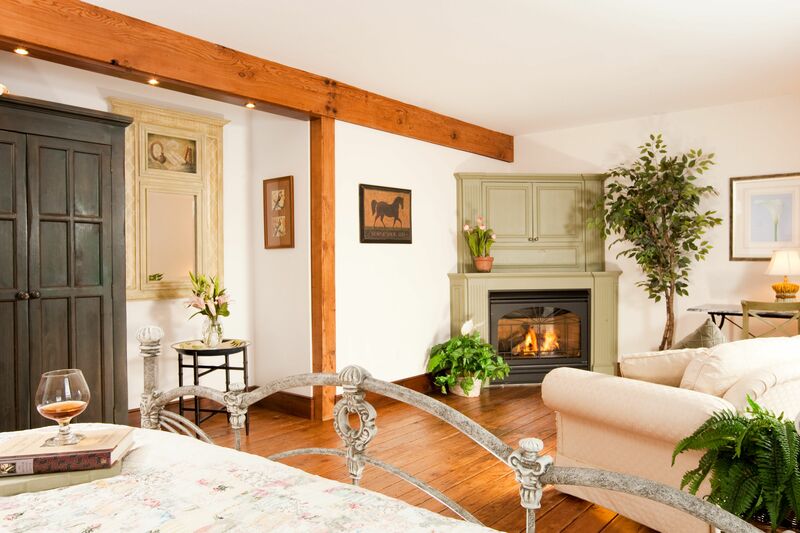 After spending the day at the Connecticut Science Center, come home to one of our comfortable accommodations at Stonecroft Country Inn. The Lily Suite is the perfect place for you and your significant other, with a large queen feather bed and a Jacuzzi tub. 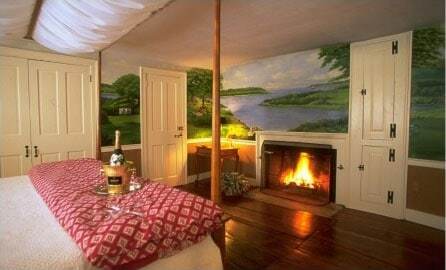 Cozy up by the fireplace with a glass of wine and top it all off with a relaxing spa massage. Wake up the next morning to a delicious homemade breakfast and start the day with fresh eggs and fluffy French toast or pancakes. 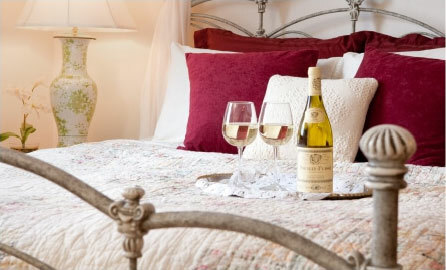 Book your stay today at Stonecroft Country Inn and have the relaxing getaway you deserve!